I'm so glad I found this site! I've been trying to achieve an out of body experience for quite a long time now but it didn't happen yet. I've got six books about OOBE at home, two of them from Wiliam Buhlman, one of Robert Peterson, another one of Thomas Karlsson and finally two of Robert A. Monroe (I'm currently reading "Journeys Out of The Body" and I haven't read the other book of Monroe so far, but I'm totally into Monroes way of talking about these experiences). Latley I've been trying to induce an OOBE almost every night. I relax and I can also feel these kind of waves going trough my body but I'm not sure whether these waves have something to do with an OOBE or not because I can also "call" them while I'm awake and feel them just as intense. They normally last only a short period, going from my head down to my feet and then I have to "call" them again. I'm afraid this is not how these waves should act like. I know it would be better to try inducing an OOBE after some sleep (preferably after waking up in a REM-phase, no?) and I also did this several times but maybe I just have to practice more using an alarm clock to wake me up during the night. I can't speak to the Karlsson book, but the others you should find enjoyable and valuable. Regarding the Monroe books, they are rewarding reads but short on techniques because Monroe was such an amazing and natural talent that he was never really forced to try variations to what worked for him, very simply and automatically. The vast majority of the rest of us have to do some experimenting with various techniques to find what works for each of us. Interestingly, in the later sections of Monroe's first book you will find a description that resembles your description of "calling" the waves and having them move from head to foot and back again. This may be a precursor to or actually be what some of us experience as the Vibrations. Either way, I think this is a very good sign that you are making progress. A word about progress; you may find your progress slower than you expected so don't get frustrated; there may be certain subconscious actions going on such as asking yourself permission to do this and granting yourself permission to do this. Also, there are subtle, Non-Physical senses that need to be developed in order to comprehend the sensations you are encountering. Your hypnotherapy training can benefit you greatly here; check out the process of Affirmations and how they can be put to use to communicate your desires for an OBE to your subconscious. If you are already experiencing Lucid Dreams then understand that these are forms of OBEs. It may be your personal dream environment but this still qualifies, the key is the degree of consciousness that you learn to develop. Eventually you can decide to move outward from that personal dreamspace. And your english is better than most here in the States! Thank you for welcoming me so kindly EscapeVelocity! Have a great day (night? I don't know what time it is there )! There are a great many types of OBE you can experience so you need to aware of and on the lookout for the first several types because there is no telling where you may be more naturally inclined. I prefer to just categorize all these various experiences into a current catch-all term- the Non-Physical (NP). When the time comes to call it something else, then I will remain open to that. It seems that most people come to the practice of OBE thinking that they are going to relax deeply and eventually "lift/walk/roll out of their physical body and float around like a ghost exploring the Physical world. 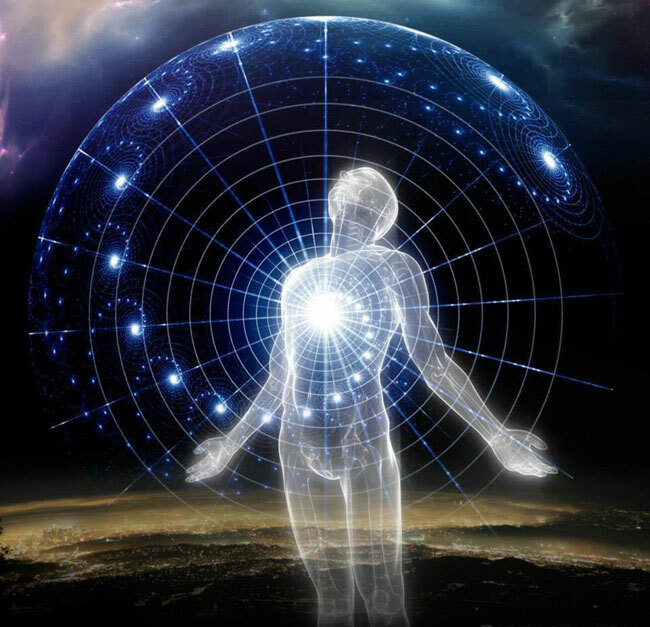 Some actually get an experience similar to this expectation which many refer to as a Physical Plane or Etheric Plane or RTZ (Real-Time Zone) OBE. The debate as to the accuracy of any of these interpretations has been going on for many decades, if not hundreds of years or longer. For those experiencing at this level, the scene is often within your house, backyard or local neighborhood and appears to be limited within these confines for most people. Early on there is often difficulty in gaining vision, learning to move around and simply remaining within the scene without waking. The colors of the scene are almost always monochromatic- various grays, grayish-blues, vague greens or sepia tones. At some point, the experience changes, possibly because we accidentally discover one of several new ways of achieving an "exit". And actually we begin to re-define our definition of just what an "exit" is; we begin to realize that an OBE is more of a shifting of consciousness, a re-orientation of our conscious point of Focus from the Physical to somewhere else within the Non-Physical Reality. Our new OBEs take on a much higher and defined quality: Full technicolor and completely differing environments; a lightness of being far different from the RTZ experience. This is part of Phasing. And yes, our dreams fall into this new definition; the key with our dreams is realizing the various levels of lucidity available to us and that we can exercise and increase this ability and become more lucid/conscious within the dream and then go exploring from there. Now at first you may argue that "my dreams are fun and fine, but they're not real!" My answer to that is So What!? If an experience gives you the opportunity to learn something of value, if it teaches you something...then isn't that every bit as valid as a "real" experience? (Whatever "real" actually is...) At least from my own experience, I have found that my dreams became a training ground, likely having higher level elements introduced as my learning has evolved. I'm not 100% sure just where that balance currently is, how much is strictly my own versus how much is from outside myself? Be it from my Subconscious, my Higher Self or a Guide/Teacher...I can say this though...I definitely recognize elements that indicate some other presence is involved with my learning. You realize that challenges are being introduced for you to overcome and learn from. This is where development in your lucid dreaming can take you...and you have already made the first few steps! "Tonight I will dream and become lucid and know that I am dreaming." "I will dream and remember to express my desire to ________." "I will dream and ask my Higher Self (Guide) for a lesson (what is my higher purpose?)." I think you may find quicker success with the lucid dreaming and this will begin helping you to become familiar with the NP Consciousness that you will develop which will in turn help you know what state of mind you are aiming for during your other Phasing exercises. Keep up with the other exercises as you see fit; it's all good like training different muscle groups. Again, these are suggestions based on my own experience and research; your Reality may differ Take & use what resonates with you, read as much as you can and stay open to new ways of thinking. Have fun! EscapeVelocity, you should copy and paste your last post to a new thread that can be made into a "sticky". Your explanation there was "PURE GOLD"! I like this term, NP I also think that dreams can teach you quite a lot of things, especially when you're aware that you're dreaming. I once listented to an interview of someone who talked about lucid dreaming and he then made a couple of experiments, asking his subconsciousness questions which got answered. Really interesting! And it's nice to know that you can also induce an OBE from within a dream I'm definitely going to train my awareness more now! I believe that using "affirmations" is one the most important things you can do to promote success with this practice in general. They are constantly reaffirming to your "higher self/sub conscious" that you are ready to experience and "be" more! Another excellent way to become Lucid in your Dreams is to first start a Dream Journal. Log in anything you remember from your Dreams. Make a separate note of any Dream Triggers that you see. Those Dream Triggers will help you to see that you are indeed Dreaming. They can be simple little signs or really "in your face". But you will see they are always there. Lumaza, thank you for the kind words. Lumaza adds a couple really important followups to what I was advising. 2) Dream Triggers: As you review your dreams, you need to look for those signs, both small and large, mostly anomalous, illogical moments that are hinting or screaming for you to wake up within the dream and become lucid. Once you start recording your dreams and looking for triggers you will be amazed at how many there are...and how unaware we persist in being...LOL. My OBEs began when I was about five but I had little understanding of what was happening other than the recognition that this was significantly different from a normal dream; by the time I was seven or eight, I could describe what was happening to my parents but they had no idea since it wasn't part of their worldview, so I pretty quickly gave up and tried to figure it out for myself. Most of what I was experiencing were flying dreams of several varieties; there was no technique involved, I would just find myself aware and "out". When I was thirteen, I came across what was one of the first books I purchased which was Robert Monroe's Journeys Out Of The Body, around 1974. This book clued me in to what was going on and although I could induce the "vibrations", I couldn't manage to get to an exit. By the time I was twenty, I was apparently meeting some coworkers out of body on specific occasions but I never returned with a memory of the fact. I was in pretty serious depression at the time and that is the only reason I can come up with for the lack of memory. Then, when I was twenty-three, one night I had a Wake Back To Bed moment where I came awake in the middle of the night, settled back down and when the vibrations hit, I was able to lift out and fly out my window whereupon I lost awareness. Nonetheless, it was a successful, conscious exit, my first. It was hit and miss for the next twenty years until I came across the Pulse and the connect-the-dots puzzle of OBE became much more solvable, and my experiences multiplied almost geometrically within a few years; the vast wealth of individual knowledge and perspective from all over the Earth that the internet allows to connect and share and evolve through is staggering. Everything that I have learned and studied over 50 years, at least from an informational perspective, is available here on the Pulse with maybe ten hours of study; it is simply incredible what this makes us, as self-aware beings, capable of. So you're a natural talent too then I'm so glad I can just look up all this information instantaneously in the internet thanks to people like you, so thank you! Like many others here I have been having "spontaneous" OBEs since my early childhood. I never told anyone about them. I thought everyone had them but that the subject was "taboo" for some reason. Hence why I never shared them with friends or Family. My first consciously aware initiated OBE came after watching a "candle burning" video on youtube, then applying what I saw. It was brief (as many first experiences are) and had a welcome to the wonderful world of Astral Projection "fear test" as well. But I couldn't wait to try it again. I was hooked immediately, lol. I still haven't had no OBE but a very short lucid dream. Next time I get conscious in my dream I'll try to induce an OBE! Hello Xenothym and welcome to the forum, though I'm half a year late as well. There is lots to read here. I'm glad you like the site, its full of information and questions are answered too as a bonus.